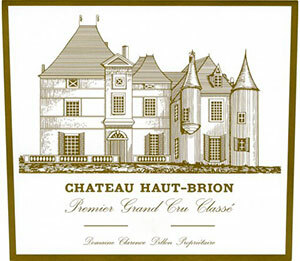 The backward 1996 Haut-Brion was bottled in July, 1998. Even administrator Jean Delmas was surprised by how closed it was when I tasted it in January. Only 60% of the crop was utilized in the final blend, which was 50% Merlot, 39% Cabernet Sauvignon, and 11% Cabernet Franc. Out of barrel, this wine exhibited far more forthcoming aromatics as well as a sweeter mid-palate than it revealed from bottle. I had expected it to be more forward, and thus slightly down-graded the wine, although I am thrilled to own it and follow what appears to be a slow evolution. It will be a potentially long-lived wine. The 1996 exhibits a deep ruby/purple color, and a surprisingly tight bouquet. With aeration, notes of fresh tobacco, dried herbs, smoke, asphalt, and black fruits emerge ... but reluctantly. It is tannic and medium-bodied, with outstanding purity and a layered, multidimensional style. However, the finish contains abundant tannin, suggesting that this wine needs 5-8 years of cellaring. Anticipated maturity: 2008-2030. Tasted at Bordeaux Index lunch. The Haut Brion 1996 continues to shine as one of the estate's standout releases of the decade. There is something perhaps a little rustic on the nose at first, more "animally" than I have noticed on previous bottles. But it just oozes Graves-like fruit, hints of black olive, scorched earth and undergrowth. This is a nose you can lose yourself in. The palate is medium-bodied with a fine line of acidity, the tannins having just softened a little since two years ago. It is very elegant, extremely well balanced and there is a subtle, insistent crescendo that is utterly entrancing. This is an Haut Brion that is simply full of character. Superb. Drink 2015-2025. Tasted December 2013.